Details: Raise brick work on wall surface; arched entranceway on south elevation; timbering on Side gables and detached garage. Plan: Square with side wings. 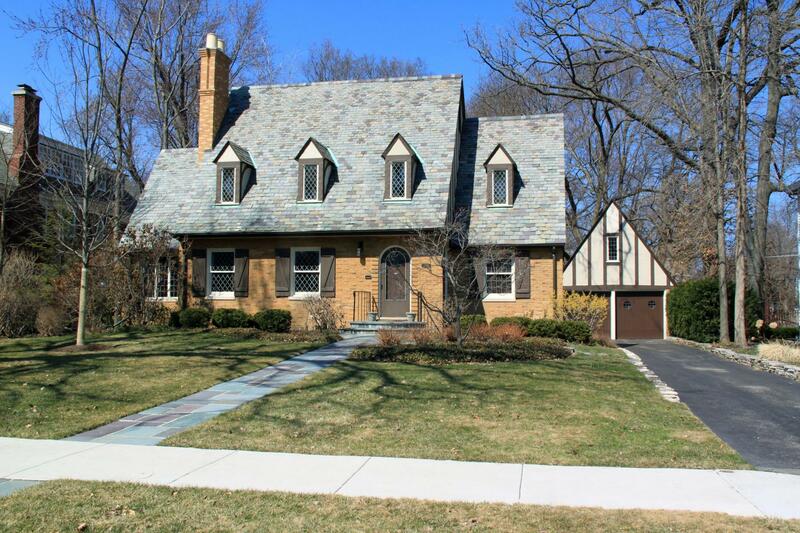 Historic Features: Gabled dormers with stucco and leaded glass casements, south elevation; large chimney stack with Potts on west side gable; diamond pattern leaded glass on all windows, south elevation. Alterations: Addition on north elevation. Exterior Alteration Permits: 05ADD0000000061: Add OF 2-sty + basement wing.